Mutual lack of knowledge of the other and lack of institutional contact between foreign policy elites is promising an era of perpetual mistrust in U.S.-Russian relations. As Moscow welcomes the new U.S. Ambassador Jon Huntsman Jr., and as Russia’s new ambassador to Washington Anatoly Antonov is putting himself in the swim with his new job, one might hope that the current downward spiral in U.S.-Russian relations might be stopped or even reversed. However, a change of faces at the embassies can’t cure a relationship that is deeply broken and will continue to be so. President Donald Trump’s signature on the “Russian Sanctions Review Act of 2017” guaranteed that adversarial relations between the United States and Russia are set in stone for years to come. Trump’s approval of the bill from Congress on August 2 is an indication that the relationship between the United States and Russia has room to get even worse than it is at present. Trump’s White House, albeit rather clumsily, tried to fight the sanctions. Future administrations, both Democratic and Republican, are likely to be more aggressively anti-Russian than this one. Whatever the real political issues that divide them, there is a real danger that the institutional lack of knowledge and dialogue will worsen an already bad relationship and see opportunities for improved relations go untaken. On the American side, the crux of the issue is that the levers of the U.S. foreign policy machine will be in the hands of members of a generation that not only considers Russia a threat to America but also knows much less about it than the politicians of the Cold War era. This lack of understanding carries more dangers than do the new sanctions. The U.S. foreign policy elite is in the midst of a generational change. A new crop of political appointees, mostly under fifty, is replacing those who made their careers during the Cold War years. During the George W. Bush and Barack Obama administrations, members of this generation had already begun to fill the middle levels of the bureaucracy, responsible for the strategic course of American foreign policy. This new generation formed its view of the world at a time when the rising stars in government aimed to be specialists on issues like the Middle East, China, terrorism, or cybersecurity. Obama’s characterization of Russia as a “regional power” was a reflection of the consensus outlook of these people. For them, Russia was not to be perceived as a threat to American national security, and not a country of great interest in general. Russian interference in the 2016 American presidential election radically changed this picture. The issue is not so much what the Russian intelligence services did or did not do during the presidential campaign and what impact they may have had. The key point is that for this newly formed American foreign policy establishment—be it supporters of Hillary Clinton or more traditional Republicans from the “Never Trump” movement—Russia is understood to be a foreign power that seriously interfered with the democratic process and brought power to a man who will try to undermine the very core principles of the country they love. 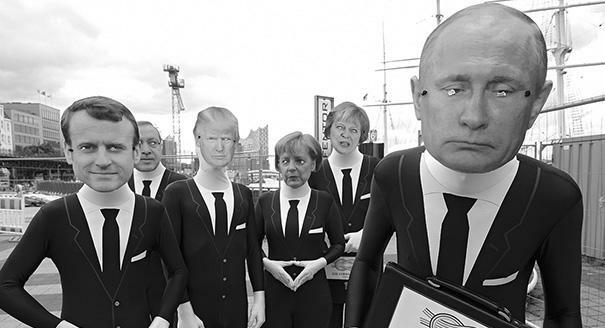 Moreover, as Trump has now stolen a whole electoral cycle from them and their career development, some of them now also feel that Russia has stolen some of their best years. Sooner or later, these men and women will be back at the helm of the National Security Council, the State Department, the Pentagon, the Treasury, and the intelligence community. 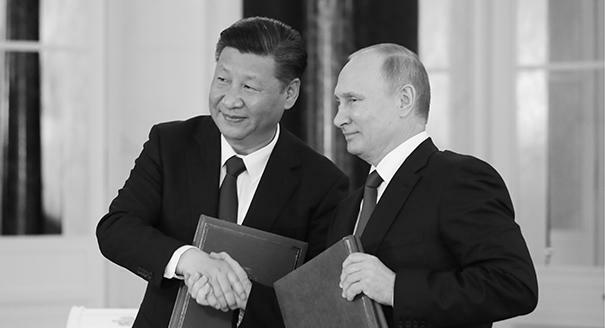 But their understanding of Russia will be much more shallow than that of their Cold War predecessors, who had encountered the Soviet Union on a daily basis in every corner of the world and had to have at least limited knowledge about the primary adversary. Though new Russia is perceived as a real threat, few of the up-and-coming stars in the foreign policy establishments of both the Democratic and Republican parties have any credible experience in Russian matters. This is why Russia will be viewed as a brazen and aggressive global actor that is consciously trying to break the liberal world order and hurt U.S. interests in every corner of the world. This Russia must be put in its place and punished in every conceivable way, through new sanctions, the supply of weapons to counter Russia in post-Soviet conflict zones, and cyber activity. On the Russian side, an analogous process is underway. The departing Cold War–era foreign policy elite is being replaced by people who sincerely perceive the United States as Russia’s enemy, and the fight against America as part of their job—even as their national mission. Just like their American counterparts, many of them believe that the enemy (the United States) is in a state of long-term decay, which is the real reason why it is constantly trying to hurt Russia. Clichés from the propaganda machine substitute for real knowledge about the United States. The eventual clash between these two establishment groups, driven more by stereotypes and emotions than by knowledge or pragmatic reasoning, will be far more destructive than the current confrontation between the two countries. This systemic conflict could have especially grave consequences for Russia, as it will divert valuable resources that should have been spent on tackling domestic problems toward confronting the most powerful state in the world. 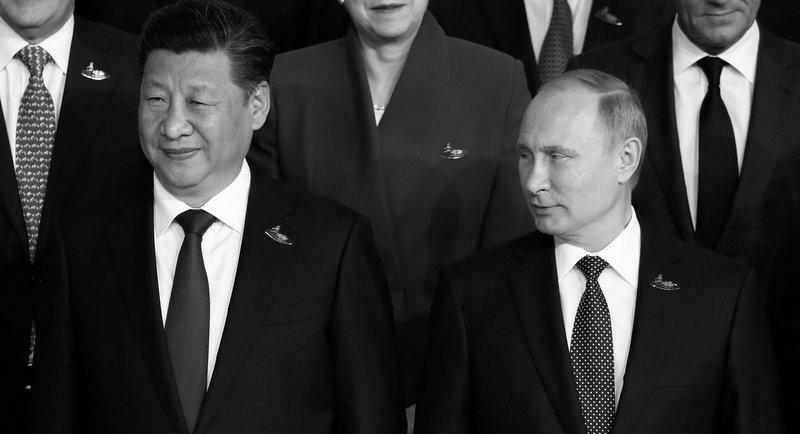 The root of the problem lies not in the systemic ideological confrontation that underlay the Cold War but in perpetual mutual misunderstanding, miscalculation, and mismanagement. On the Russian side there is profound ignorance of how Washington works. For example, at a critical moment in bilateral relations, few in the Russian government or expert community had any connections or relationships on Capitol Hill. Only a very limited number of Russians who are not foreign intelligence agents and who are both trusted as Russian patriots and independent in outlook, have good access in Washington. This will only get worse, as the topic of Russia has gotten so toxic there. In the future, the number of channels of communication—and their quality—will fall further and only make Russian-American relations more dangerous. Russians cannot hope for a thaw in American establishment attitudes toward their country. That is beyond the capability of even the most brilliant Russian hackers, and will probably only come about in the unlikely eventuality of a major political transformation in Russia. But even without that, Russians will sooner or later have to start improving their poor understanding of how America’s establishment works, and making better contacts there. Whatever political path Russia chooses, the costs it is paying for this highly emotional confrontation are too high. The goal should be to form personal contacts in Washington, and to form professional relationships that hold at least the seeds of trust and mutual respect. That would help Russians to have a better understanding of American foreign policy and allow influential Americans to understand Russia better. This article originally appeared in Russian in Vedomosti.